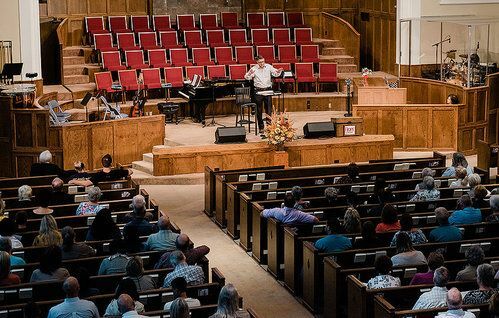 FBC Sulphur Springs is a place where people can meet Jesus, engage in life-giving community, and everyone is welcome. We believe in creating a space where people can have authentic encounters with Christ, discover their gifts and use them for God's glory. Join us for our Sunday services! and typically lasts 60 minutes. 116 Oak Avenue. 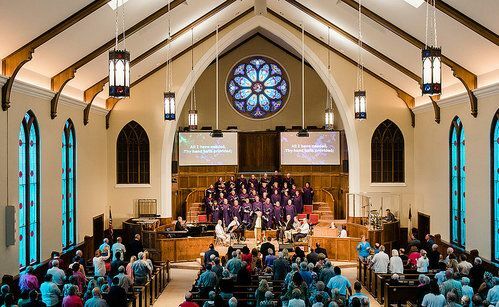 We are downtown at the corner of Oak Ave & College St.
For the Worship Center and the office, enter through the glass doors off of Oak Avenue at Entrance 1. For the Chapel, enter through Entrance 3 on College Street. If you have small children, we suggest Entrance 2. Your campus looks big–how do I know where I should go? At every entrance, we have greeters who are ready to help you with any question you may have. Also, feel free to ask anyone else. People will be eager to help. You'll find people in jeans, khakis, and slacks. Others will wear a suit or a dress. You’ll find a variety of styles here, and we like it that way! I have kids. What kind of children and youth programs do you offer? We’re here to help you build a foundation of faith in your children. On Sundays, our Bible Study Life Groups meet at 9:45 am for all age groups. 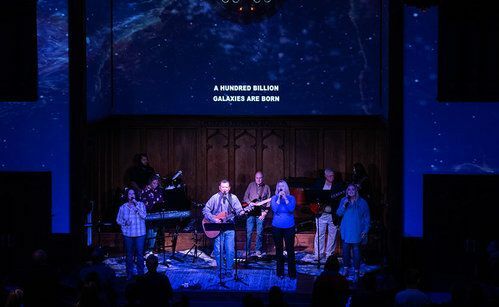 On Wednesdays, we also have programs for preschool & kindergarten, 1st - 5th grade, as well as a student-themed service for middle school and high school students. For more information, choose your age group under the Ministries tab on our home page. Seeds Preschool is open during all worship services and provides fun activities for babies through kindergarten. I like FBC Sulphur Springs. How do I join? for people to come forward for prayer and conversation with one of our ministers. to pray with you and talk to you about joining the church.